From National Humanities Alliance’s Study the Humanities Toolkit. In conjunction with the release of our new Guidelines for Addressing Proposed Substantive Changes to an Art, Art History or Design Unit or Program at Colleges and Universities, here are some helpful resources to support the arts and humanities in higher education. See more excellent articles compiled by the National Humanities Alliance. There is lots of good data to explore online about the impact of the arts and humanities. 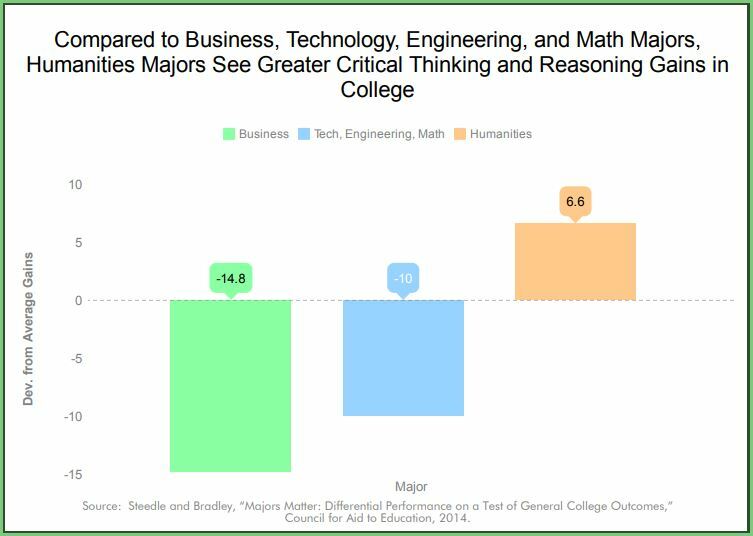 Over three-quarters of humanities graduates saw themselves at or approaching “the best possible life,” which was similar to the shares among engineering and natural science graduates. The Study the Humanities Toolkit from the National Humanities Alliance is a collection of resources for higher education faculty and administrators to use in making the case for the value of studying the humanities as an undergraduate. Americans for the Arts is a hub for data and information about various federal arts agencies and arts education in America. Data on the arts and humanities can also be found on the National Endowment for the Arts Facts & Figures page.